With inviting lounge areas ideal for socialising with friends, the range of Compass Kensington exclusive caravans from Kimberley help you to make the most out of your time in your new caravan. 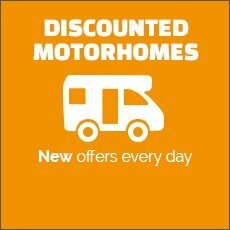 With a high specification, these new caravans are excellent value for money, and with new features added for the 2019 season they make the perfect upgrade or even first caravan. Sleeping up to six people, they are a popular choice for families, and as they are only available at Kimberley's Nottingham or Darlington branches you will not find these caravans anywhere else!